Ear piercings have made a comeback. They are all the rage and the most unique way to accessorize yourself. I get most of my piercing inspo from tumblr, pinterest, and instagram. I currently have 7 ear piercings in total. I have three on each lobe and one daith piercing in my right ear. If you’ve been thinking about getting a daith or interested in what my experience like then look no further, you’ve come to the right place! In terms of pain, I would say that I have a very high tolerance. I don’t have an issue with getting injections or needles in general. On a scale of 1-10, the daith piercing was around a 7 for me. It is a very difficult location to pierce and the piercer needs to have the correct technique and confidence to execute this piercing successfully. 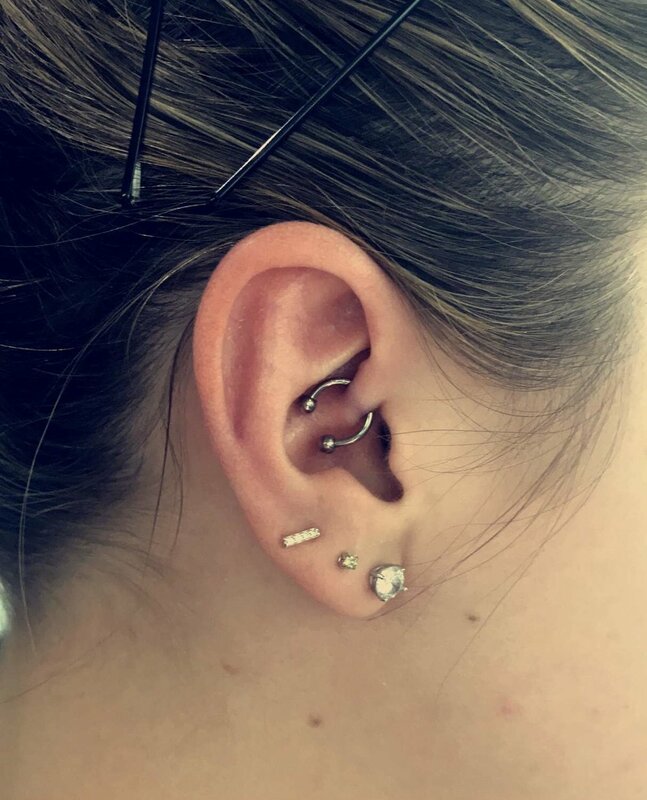 Make sure you’re going to a reputable tattoo shop that has experienced daith piercers. My piercing cost around $60 and I think that was a reasonable price. I usually like to research the piercings that I want and their pain level, to know what I should expect. However, I got this piercing on a whim. I was at a doctors appointment with my sister and I had been having a crappy day. My sister wanted to cheer me up and do something spontaneous so she suggested we go to a tattoo shop and get my daith pierced. 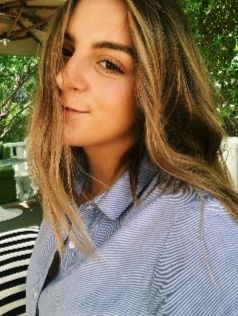 I’ve seen this piercing on Pinterest and always thought they looked so dope, but I was scared that I wouldn’t be able to pull it off. I decided to do it anyway and I am really happy that I did. I feel like it gives me an unexpected edgy vibe and I really dig it. However, the healing process has been a pain to say the least. I was told that it could take anywhere around 4-12 months to heal, but it is taking forever! It is fine one day and the next day it is swollen. However, It is partly my fault because when it is fine and not swollen I slack off on the cleaning so that probably causes it to stay dirty and therefore swell. Do I regret getting this piercing? No, but I will say that you have to stay on top of it and keep an eye on how your piercing is doing. Don’t slack on your cleaning schedule, even if you think it is healed! I try to clean mine 3 times a day with H2Ocean spray recommended to me by my piercer. This spray makes it very easy to clean my piercing very efficiently. I have had the piercing since January and I have gone through 3 bottles of the spray. I’ve tried other methods (sea salt soak) and I have come to the conclusion that this is the best way to keep your piercing clean. The piece of jewelry I have in my daith right now isn’t the ideal piece I want, but it is the safest one to start out with because it is hypoallergenic. Eventually, when my piercing is fully healed I will put in a beautiful piece but I’m not trying to rush the process because I want it to heal properly. Overall, my experience with the daith piercing has been pretty great. I have no complaints.